A Japanese medical team amputates the shattered leg of a wounded soldier at an operating room of the Military Reserve Hospital in Hiroshima during the Russo-Japanese War (1904-1905). An American Red Cross nurse is assisting. Circa 1904. 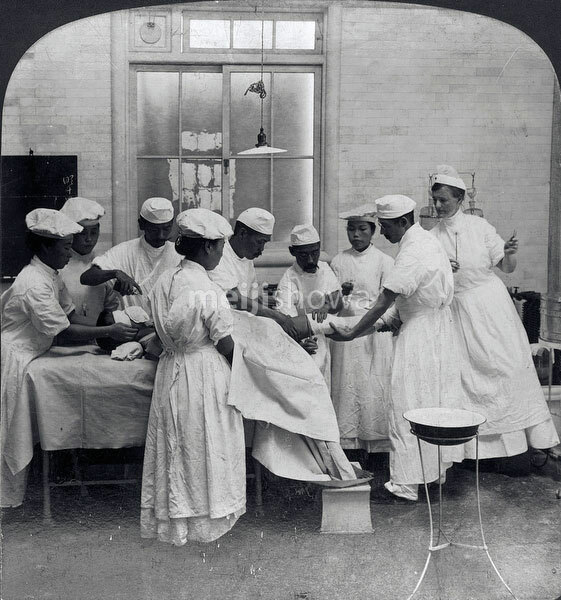 Although not in this image, Dr. Anita McGee, who founded the U.S. Army Nurse Corps, observed this operation.